*We shared fare for cab, so total expenses for cab is around P3,000 split into 3, P1,000/person. Getting a cab is the most convenient way to go around Bali. All the cab drivers that we met are all nice, warmth Balinese. 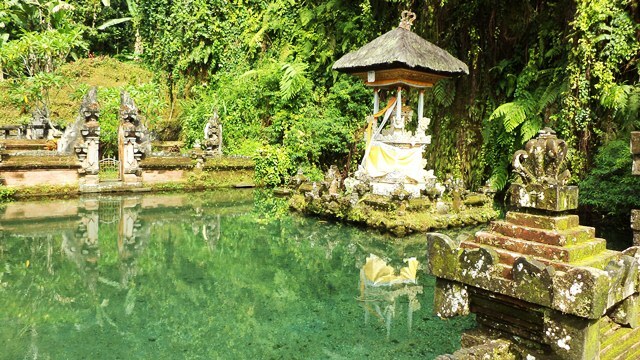 They are immensed deeply in Balinese cultures, they love their country, they are all proud of Bali and they are kind enough to offer and show you drop you in places that every tourist will love. Along ur way to the hotel, we visit coffee plantation, temples, Batik Weaving Store, Souvenir shops, and more, if we want to! *All our accomodation includes breakfast for 3-4 persons. *Since most of our days are packed with activities, we usually skipped lunch. We ate in recommended restaurants by the locals. Bali serves all kinds of dishes from Indonesian to Italian. Thanks for this! I’ll be going to Bali next month. My first trip overseas as an adult (thus w/ my own money) so I had no clue how much to bring. Very helpful, though is the overall amount already inclusive of tue air dare and tax? Thanks again! One more thing. Would it be safe to just budget 20k since our airfare is already paid for? Or w/ 20k, i might end up scrimping on things? Ur welcome. Yes of course, japan and seoul soon!